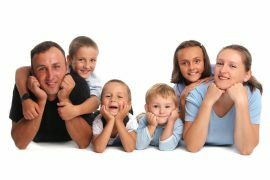 Whenever school holidays roll around, my husband and my sole objective in all that we do is very clear: drain the kids’ energy. 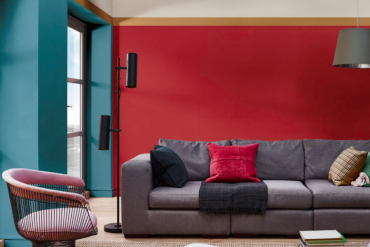 “Seasoned” parents would concur that children are, in essence, titanium balls of energy, and that the best way to maintain sanity for both child and parent, is to keep them kids moving – not just “let’s go shopping” kind of moving, but “let’s roughhouse like there’s no tomorrow”. 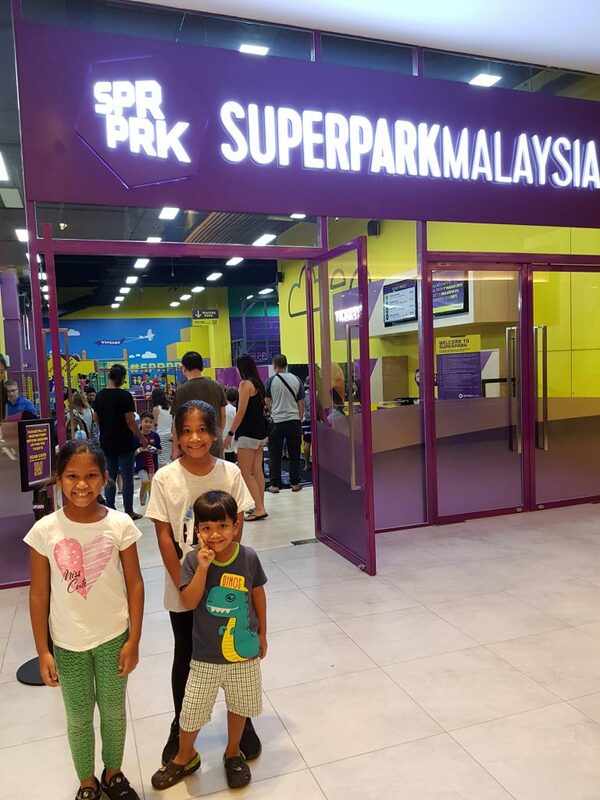 So when I found out about Super Park Kuala Lumpur @ Avenue K Shopping Mall just before the school closed its gates for term break, I cried myself a river of joy and cleared out all appointments to make way for this exciting wonderland called SuperPark. Donning the compulsory grip socks. SuperPark, here we come! 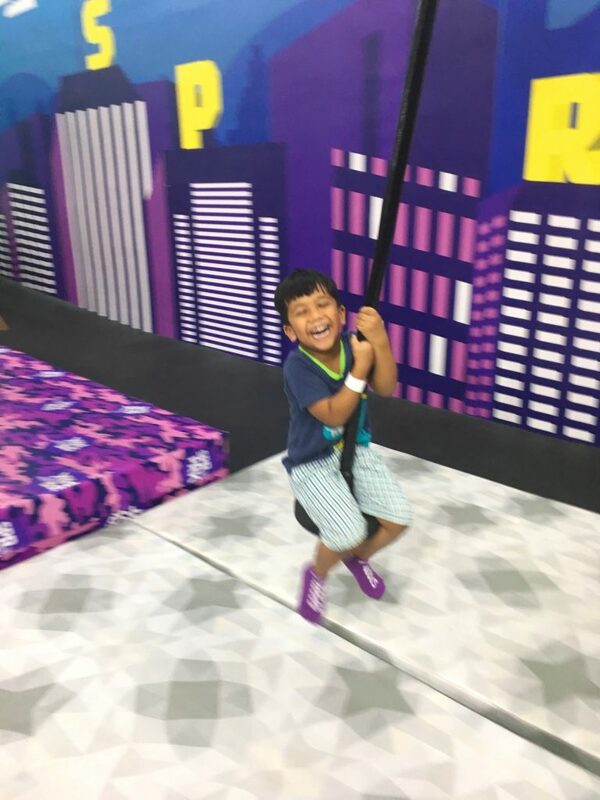 Dubbed the friendliest all-in-one indoor activity park on earth, the SuperPark aims to deliver a unique experience of play that excites and unites people of all ages and fitness levels. 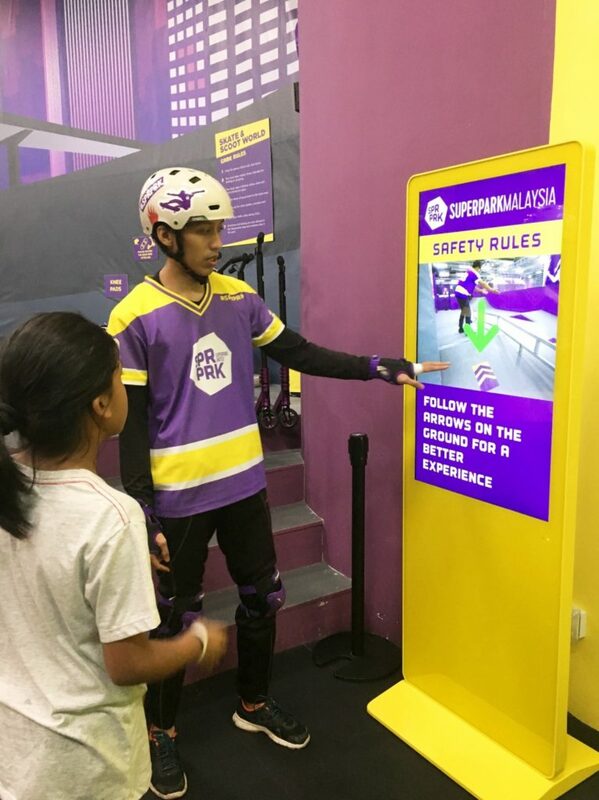 Originated in Finland in 2012, it operates 18 activity parks globally, with Hong Kong being the first location in Asia, Singapore the second, and recently SuperPark Malaysia opens its door in early December 2018. 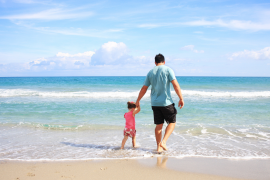 Living in a fast-paced, highly digitized age, I’m aware of the consequences gadgets and technologies could bring to the tender mind of a child, therefore we are always on the lookout for challenging but energizing play and activities that require the use of physical and mental stamina. Imagine my delight when I found out that SuperPark doesn’t offer any motorized, theme park-style rides, rather the human body IS the engine for all its activities! 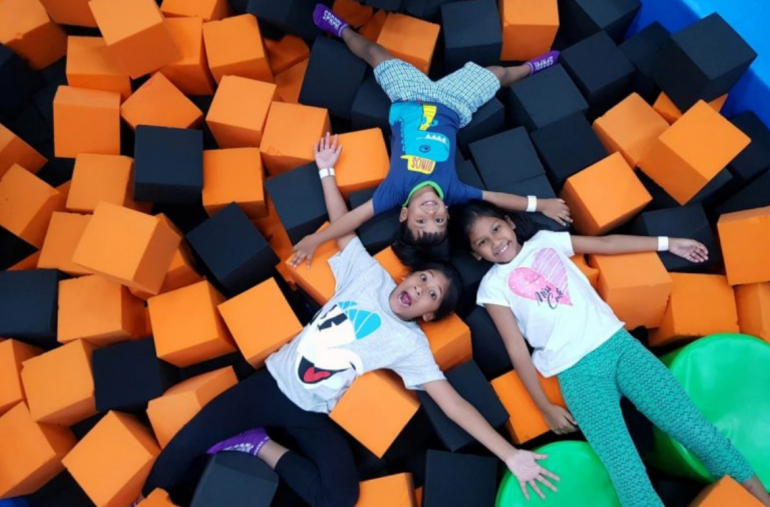 The “Superparking lifestyle” is about joyful play, friendship, and better health; and truly so, during our time spent at the park, we have witnessed how kids of all ages forged friendships during play by helping one another out! Look at him go! The Flying Fox never fails to put a smile on its rider’s face! 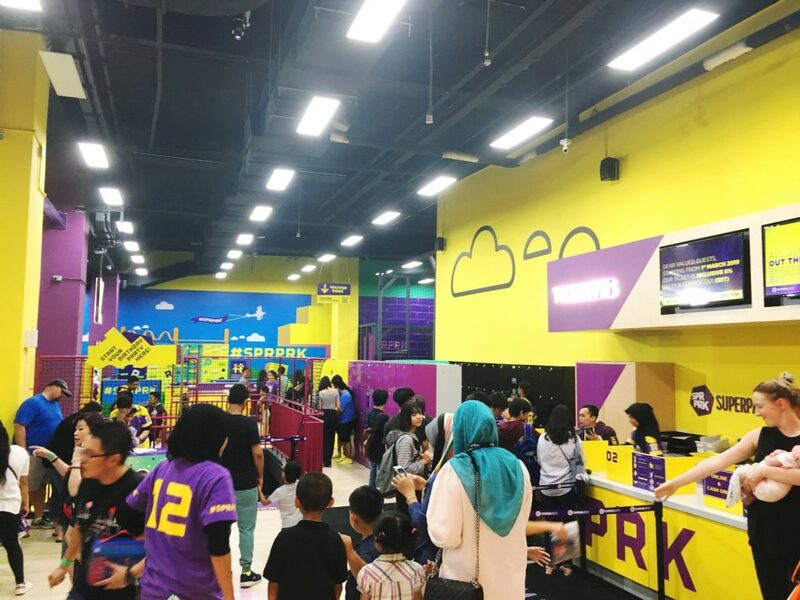 The activity park covers an enormous 40,000 square feet, 2-storey site in Avenue K Shopping Mall situated in the heart of Kuala Lumpur. 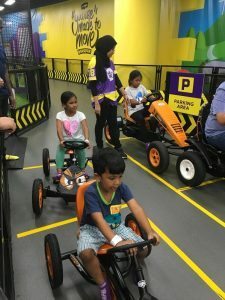 It features 3 main areas, namely The Adventure Area, Game Arena, and Freestyle Hall, and offers over 25 fun and healthy activities to keep the youngest to the oldest in the family busy and happy. Located within a mall also means that the ever important question “what to eat?” is covered, as a food court is conveniently available just 2 floors down along with many other established F&B outlets located all over the mall. 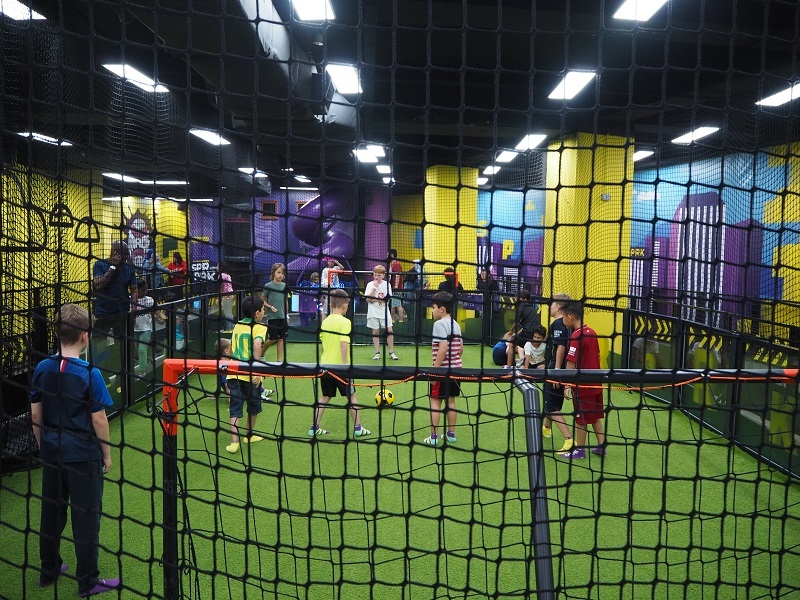 We wanted to maximize our playtime here, so we bought the Super Day (weekend – 9am-9pm) ticket at just RM70/pax. The pass is multi-entry, so we got to enter and exit at will and finally, left a family of 5 happy souls at the end of the day. 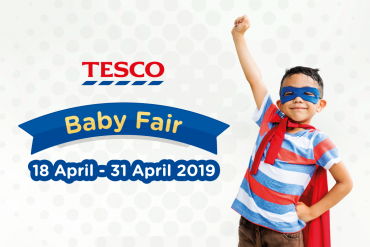 For parents with young children, you would enjoy the Adventure Area with key features such as Flying Fox (zip wires), Tube Slides, Kid’s Gym (toddler area), Pedal Car Track, and Kid’s Adventure City (a maze-like play tower). 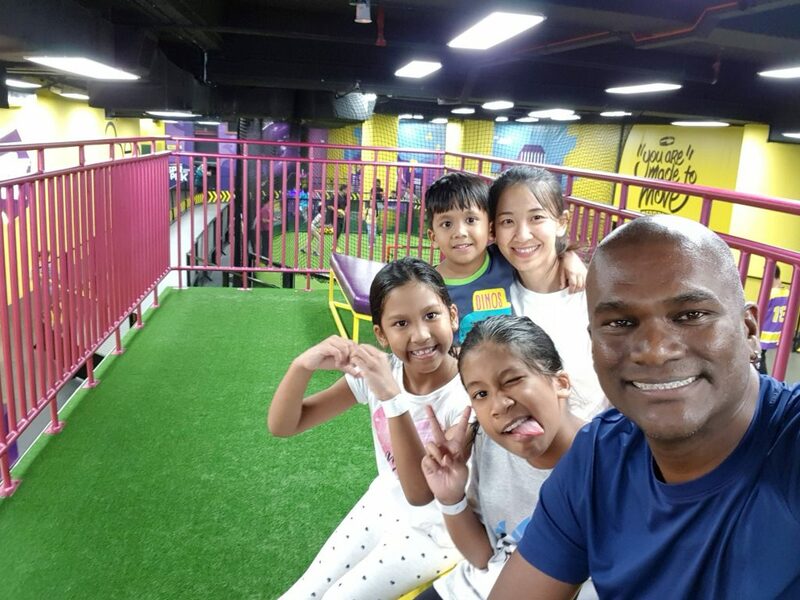 My kids went crazy at the Flying Fox and Tube Slides, and kept going back for more rounds. 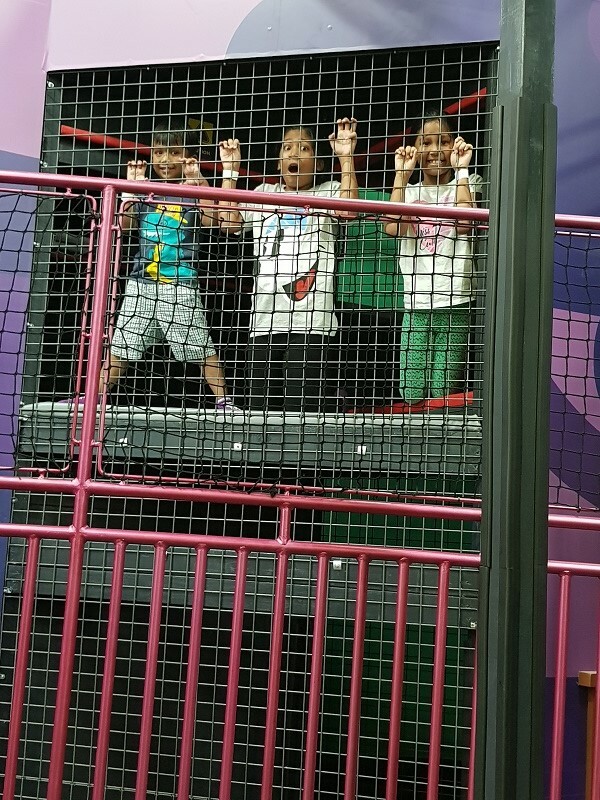 A little heads up, do prep your young children on how to plan and make their ways around the play tower (Kid’s Adventure City) as it spans 2 floors, and is rather dim inside. One of my girls lost her siblings while in there and had a little moment of panic attack as she couldn’t find her way out even though we could see her from the fences above but by then she was too stricken with fear and we had to go down to fetch her. She had a good cry later in her daddy’s arms, but a lesson well learned for us on how to get to safety when we lost our way in public. Also Read: Full-time parenting IS a REAL job. 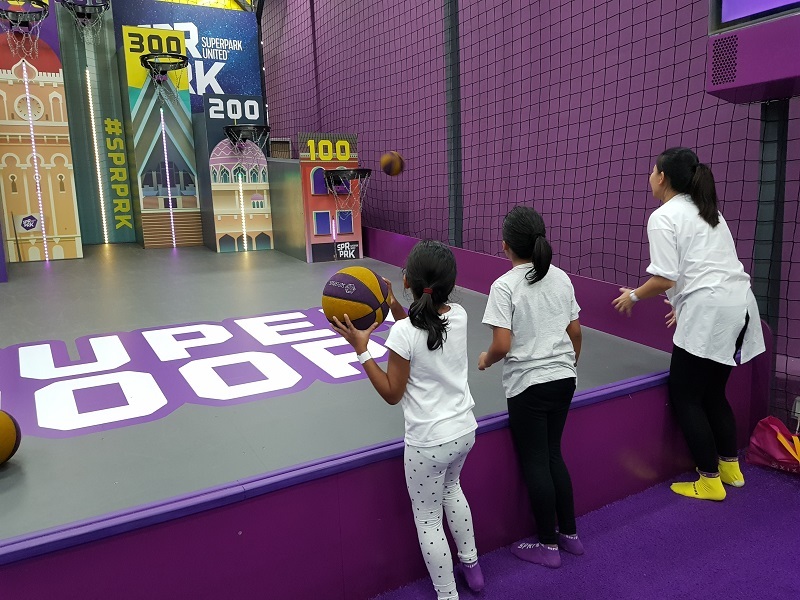 The Game Arena is designed with youngsters in mind and features popular sports such as baseball, street basketball, and football. This is definitely a good place to practice your baseball swing, basketball jump shot, or football kick – which features an AI goalkeeper (Robo Keeper!)! Performance is measured by radar and various digital systems, so you can challenge each other fair and square! 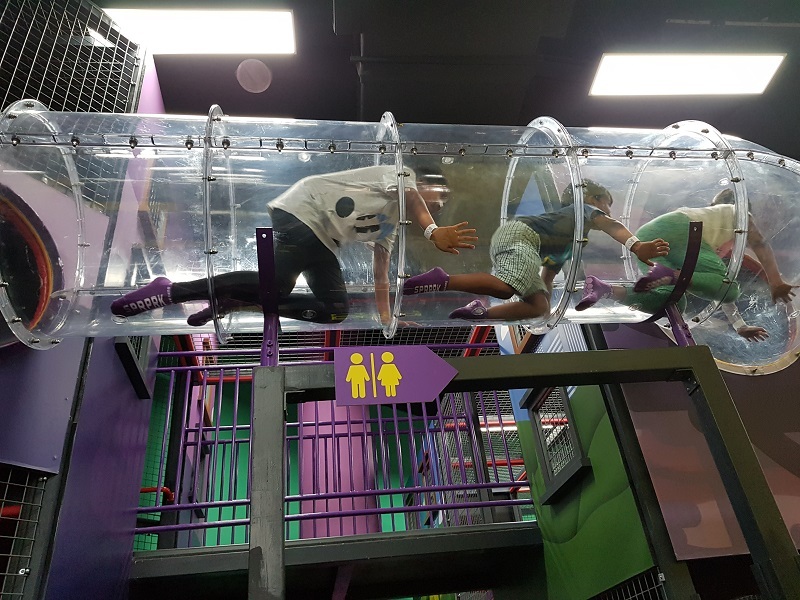 Now moving on to the Freestyle Hall, which in my opinion, is the coolest, as it provides a safe environment for you and your kids to explore your skills in climbing walls, bouncing trampolines, skating, and scooting fearlessly. 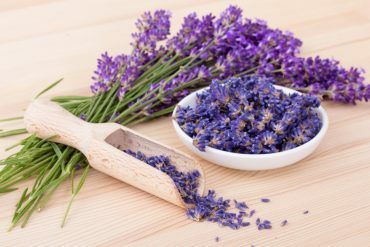 Whether you are a beginner, a professional, or an in-between-er, you will receive due support and supervision, so just dive right in and give it a go because otherwise where else can you do all these within a day?! I was mighty proud too when my 8-year-old girl scaled the 2-storey high wall like a pro when she had no previous experiences in wall or rock climbing. My take away is this: let our kids go loose within reasonable safe boundaries, and you’ll see them bloom in areas you’ve never seen before. 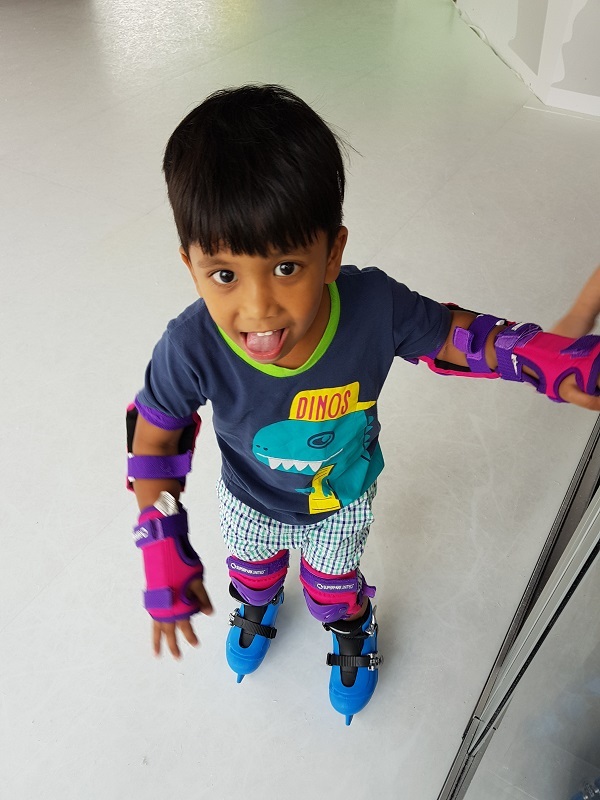 Exclusive to SuperPark Malaysia, the park also offers a – wait for it – two thousand five hundred square feet Ice Skating Rink to its visitors! 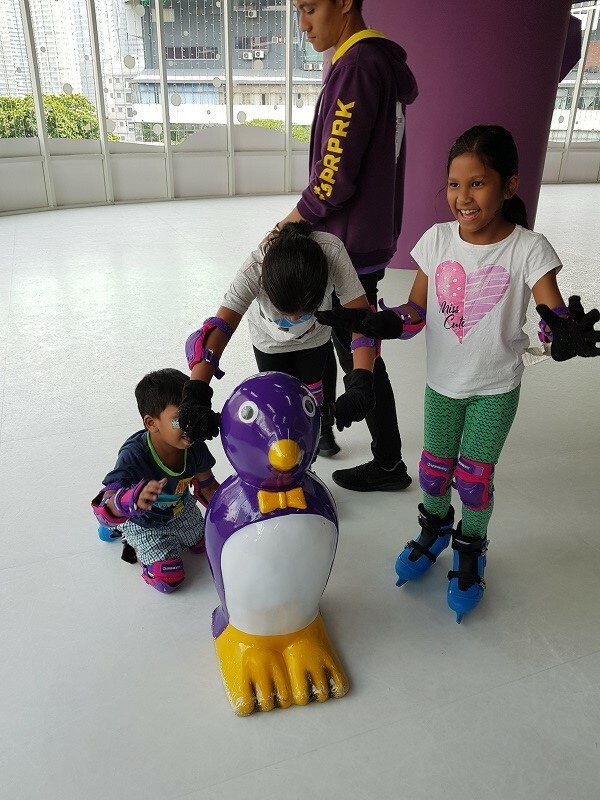 Made of 100% recyclable and non-toxic synthetic ice, it lends skaters an authentic skating experience, and with soft sunlight streaming in from the floor-to-ceiling windows, this is definitely one thrilling experience no one should ever miss! At the Skate & Scoot World, the instructor is showing a safety video before buckling the kiddos up. 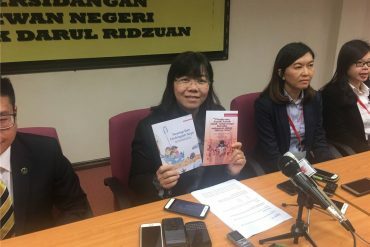 Now parents, I get it, our kids’ safety is our number one concern wherever we go, which is why you can find comfort in the fact that all the activity stations are manned and guided by experienced staff, many of whom are recognized coaches. 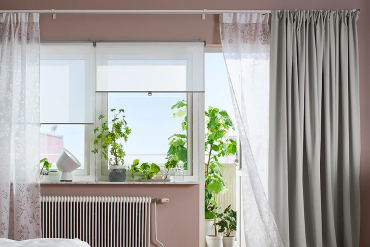 On top of that, being indoor means kids are safely protected too from rain, air pollution, high UV (hello Malaysia! ), and bugs and mosquitoes! That said, peak periods like weekends and holidays are understandably crowded, so it’s always wise to keep a hawk eye on your children but without interfering with their play. 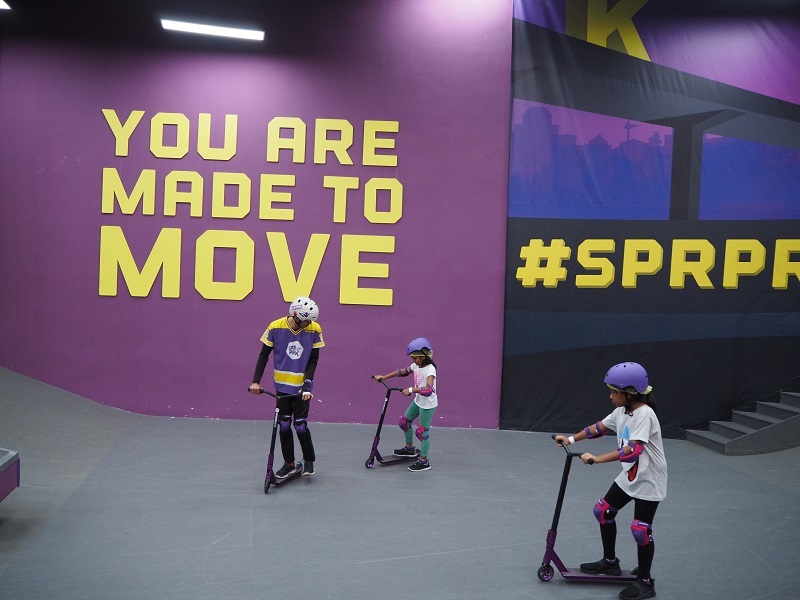 SuperPark Malaysia provides a competitive price point ranging from RM30 – RM70 per person. Prices vary for weekdays and holidays (weekends, public and school holidays). 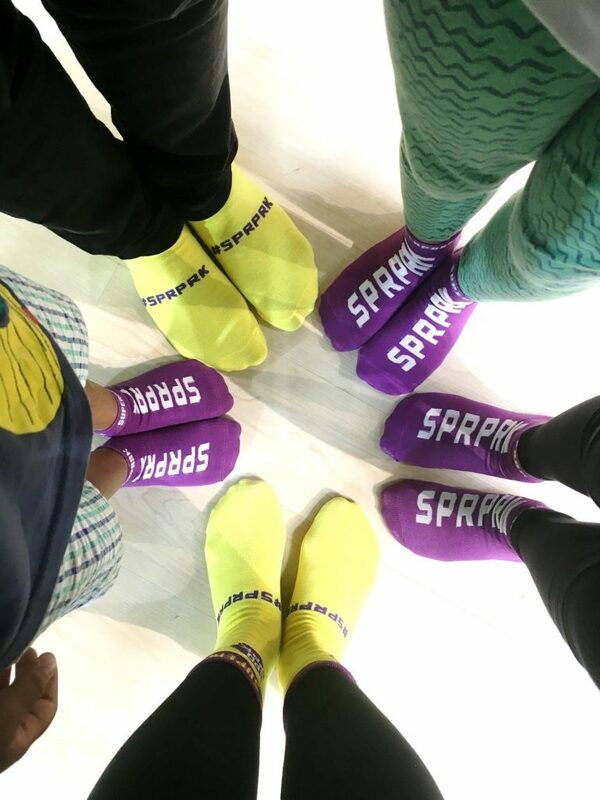 Also good to note that visitors are required to pay for a pair of grip socks, costing only RM5, and they can be reused on your subsequent visits. Time does fly when you are having a ball! The clock was hitting 9pm soon but our sweaty “Cinderellas” were not ready to leave, at the rate they were going, I didn’t think they were ever going to leave given a choice! Fortunately for them, this mama wouldn’t mind coming back a second time (or a third, and fourth!)! One for the album before we bade farewell! To speed up admission, visitors are encouraged to go online and fill up a waiver form (one each for every visitor) before purchasing the tickets from its website; simply scan your QR code and purchase grip socks at the reception counter, a wrist band will be given to enter the park as well as used as a digital key to your locker. Have you heard about SuperPark before this? If you have experienced the SuperParking lifestyle, let us know how you like it! Are Dummies Bad for Babies?